Inspire a Generation is the official slogan of the Olympic Games. However inspiring the next generation is not just limited to sport - it applies to art as well. inspiring a permanent artistic legacy. 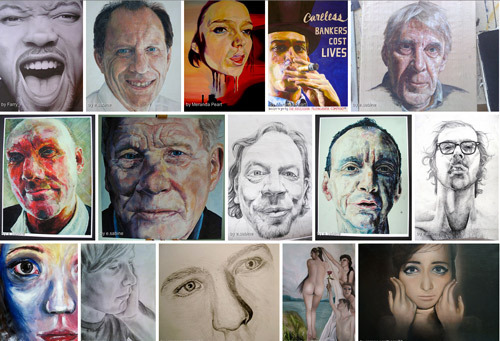 See my previous post The Next Generation - Portraiture for Teenagers which reviewed the BP Portrait Award Next Generation activities for 14-19 years olds interested in art and portraiture. 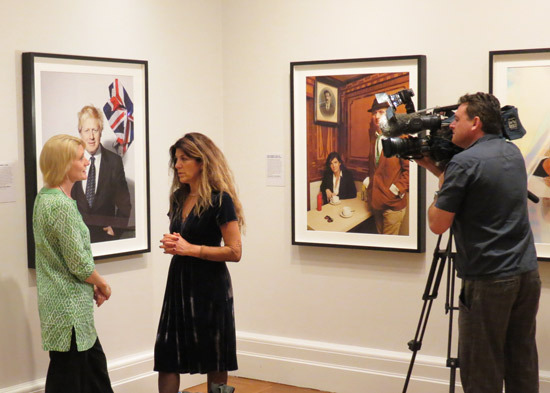 The Next Generation is a project run by the National Portrait Gallery which is all about inspiring 14­-19-year-olds (aka "The Next Generation") about portraiture. It provides different opportunities for teenagers to meet with and gain insights from past BP Portrait Award artists and to share their own artwork. 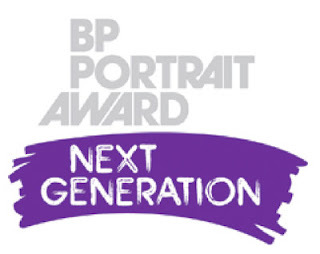 I recently attended a BP Portrait Award: Next Generation Taster Session at the NPG and this post is a report on what happened. Achieve engagement and participation - nobody learns unless they're interested! For those who followed the debate on my Facebook page following the last blog post (prior to comments by a certain indiviudal being deleted by me), here are the answers to what actually happens. As I very much suspected, it's very wrong to criticise the guidance offered by the NPG and/or to assume that it's always appropriate that young people follow a traditional atelier approach and are taught how to draw a face in conventional terms! The reason for this is that these are young people who are interested in art - but they have very different experiences in relation to portraiture. From what I could see a fair number of the young people had little prior instruction in drawing a head. Any session therefore has to be geared to involving everybody - whatever their experience or skill level - and to generate engagement and participation within a three hour time slot which in turn is likely to promote future engagement. In this post I'm including some of the comments from the young people on the feedback forms which they complete at the end of the session. From these you can deduce the value of the Taster Session from their perspective. I'm going to describe the way in which the 3.5 hours were structured - but first a comment on how well the young people engaged with the sessions. Posted by Making A Mark on Tuesday, July 31, 2012 1 comments Who's linking to this post? I've often come across artists who tell me they're not good at bookkeeping or keeping track of their records of income and expenditure for tax purposes. Anyway - I came across this video and it seemed like one which a lot of people might watch if this is an area where you'd like to do better. It contains a lot of practical and valuable advice about what you can and cannot do. Bear in mind this is an American accountant talking about what American artists can and cannot do - however for the most part the general principles are the same in most countries. It provides a checklist of things to review for the purposes of what you can claim against tax and how you need to spread expenses against income. Obviously sales tax is very specific to the country or state you live in. Taxes & Bookkeeping for Artists - Steven Goldglit from New York Academy of Art on Vimeo. Posted by Making A Mark on Monday, July 30, 2012 4 comments Who's linking to this post? 29th July 2012: Who's made a mark this week? This article Gallery: Thomas Heatherwick's showstopping Olympic 2012 cauldron in The Architect's Journal has a number of photographs of how the installation works. In this video Thomas Heatherwick discusses his design. I personally love the idea that each copper petal came with a competing nation and will go back to that nation. Plus this is a little bit about the man himself from his company website - which has images of his work - it's very impressive! Thomas is an Honorary Fellow of the RIBA and a Senior Fellow at the Royal College of Art. He is the recipient of honorary doctorates from four British universities – Sheffield Hallam, Brighton, Dundee and Manchester Metropolitan. He has won the Prince Philip Designers Prize and in 2006, was the youngest practitioner to be appointed a Royal Designer for Industry. You can also see an exhibition of the work of Heatherwick Studio at the Victoria & Albert Museum until 30th September. It now includes a model of the cauldron and how it works. Moving on - today's post contains items from the last two weeks. I'm trying to ease up on posting over the next month or so in order to (1) have a bit of a break which helps me keep my enthusiasm for blogging and (2) to accommodate a pinched radial nerve in my arm which is hovering between rather painful and excruciating! Posted by Making A Mark on Sunday, July 29, 2012 1 comments Who's linking to this post? Categories art, art blogs, art books, Art Business and Marketing, art history, art supplies, exhibition, exhibition review, Techies, who's made a mark this week? The number of subscriptions to Making A Mark topped 4,000 - it's been a long slow climb! I've written before about how to get subscriptions (see below) however it's a topic which never goes away! If you want people to visit your blog you need to help them. First of all you need to activate a feed for your blog. Then you need to offer your visitors a subscription facility - so they can remember where to find you again and/or get your content sent to them every day. I also had a big jump in subscribers when I made the subscriber links and widgets really easy to find. To start with they were half way down the side column. It was a bit like having a business card which never got handed out. Once I moved the subscription links to near the top (just under the information about visitors/subscribers) my subscriptions started to take off in a major way. I am sorry to bother you, but I was wondering if you could help me understand how to acquire the "subscribe to this blog by email" widget or gadget or ? 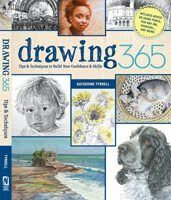 I have a personal art blog on Blogger, and have been trying to figure it out on my own, but I don't understand how to get that emailing thing. Is it something that you must pay for? I tried looking at Feedburner, but that wasn't clear to me...and I think I succeeded in putting a spot for people to "follow" my blog, but not by email, and I am not even sure I want that. I can use my computer fairly well, but am not technically savvy, so I am probably just missing something and I don't know who else to turn to who is as blog savvy as you. Again, I apologize for taking up your time, but if you understand what I am asking for and it won't be too much trouble, could you assist me? I described the basics of what I do with this blog - you can find the instructions below. They worked - the art blogger how has an email subscription form prominent on her blog! To get this in your side column you need to get a Blogger gadget. Posted by Making A Mark on Saturday, July 28, 2012 4 comments Who's linking to this post? 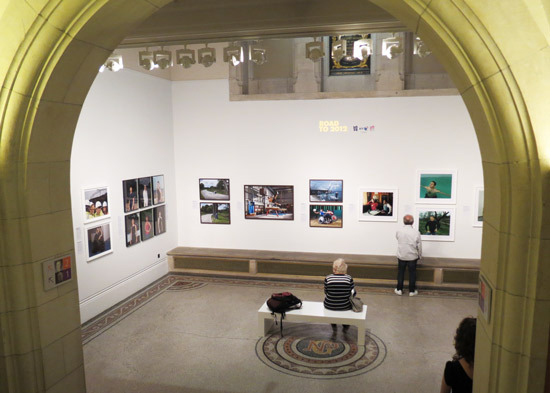 Aiming High is the third exhibition of Road to 2012 photographs of the British Olympic Athletes and the gamesmakers opened last week at the National Portrait Gallery. Road to 2012 has been a three-year project - with three annual exhibitions which together have displayed the 100 newly commissioned photographic portraits. These celebrate the people who, together, will collectively make the London 2012 Olympic and Paralympic Games happen. They range from the athletes both old and young and their trainers - plus the gamesmakers - people who build venues, people who look after athletes and the torch bearers. Each annual exhibition has been displayed free to the public at the Gallery. Portrait photography is not usually "my thing", however I've been increasingly impressed with how much more adventurous portrait photographers are when compared to some portrait painters. What struck me about the exhibition was how very individual the styles of the photographers are - and how excellent some of the portaits are. The nature of the website also made me think that these Olympic Games and these Olympic athletes are probably going to be the most photographed/facebooked/tweeted in Olympic History. There's a television channel for every venue and every event! The real strength of this Exhibition will be in whether it's an Exhibition which people will be keen to see both during and after the Games - as they take a close look at some of those people who will have "made their mark" on our lives. In the meantime do take a look at the website which provides you with all the images in the three exhibitions. "We're trying to bring stillness into exertion....we're not interested in realism or naturalism, we're interested in truth"
Nadav Kander - photographed talented young athletes and the torch bearers. I particularly liked his striking monochromatic studies which displayed their athletic build to a much greater degree than colour film. The exhibition is free and is located on the ground floor of the Gallery and also on a large landing on the first floor in the older part of the gallery. It continues until 23 September. It follows two earlier exhibitions. in 2010 and 2011. Links to the work of those photographers are included in their names. 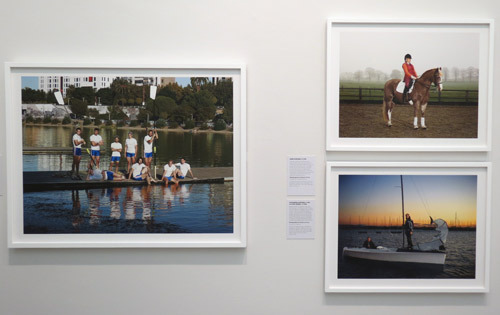 the first year of the project, saw photographers Brian Griffin and Bettina von Zwehl capture athletes and inspirational figures involved at the start of the journey towards London 2012.
and then Birmingham (13 July - 9th September 2012). Jonathan Anderson and Edwin Low have been collaborating as "Anderson & Low" since 1990. The wide-ranging work includes portraiture, abstracts and nudes, and is all noted for attention to concept, form and lighting. Their work is exhibited worldwide, residing in numerous public and private collections. Their take on the concept of portraiture pushes the limits of the genre as in their project, Manga Dreams, (a hybrid between portraiture, graphics, calligraphy and cyber-culture), which was featured in the 2011 Venice Biennale. Their most recent work with athletes is Endure – An Intimate Journey with the Chinese Gymnasts, the result of an unprecedented two-year collaboration with the elite gymnasts in Beijing. 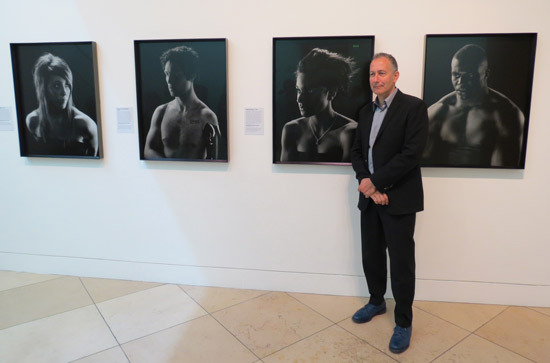 Nadav Kander holds a key position in contemporary British photography. He brings a cool keen eye, and consummate craftsmanship to an ambitious breadth of subject matter. Israeli-born Kander traces a passion for photography back to his teenage years in South Africa where he grew up. Since settling in London in 1982 he has built a multi-award winning career. Two diverse projects in 2009 augmented his international reputation; the New York Times commission to make 52 portraits of the Obama Administration, later exhibited as Obama’s People and his landscape work in China, Yangtze - The Long River, which won the prestigious Prix Pictet prize. Born in South Africa, Edelstein worked as a press photographer before moving to London in 1985. Her first job with The Sunday Times led to portrait commissions from top international magazines including the New York Times Magazine and Vanity Fair. In Truth and Lies (2001), a powerful book and touring exhibition on the Truth and Reconciliation Commission in South Africa and her new book, Here and There: An Expedition of Sorts, she weaves together portraiture, photojournalism and landscape. Posted by Making A Mark on Friday, July 27, 2012 2 comments Who's linking to this post? I never used to like Andy Warhol's work. However I've changed my mind this year after seeing his work on display the exhibition Andy Warhol: The Portfolios at Dulwich Picture Gallery and The Queen: Art and Image exhibition at the National Portrait Gallery. Between 1962 and 1984, Andy Warhol's artwork was primarily silk screen prints - his signature process. 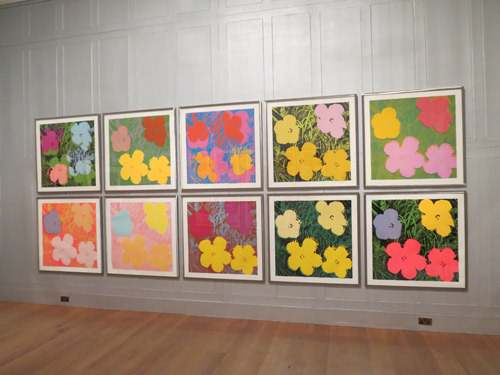 Andy Warhol was a printmaker. If he printed on canvas it was a painting, if it was on paper it was a print and if you do multiples of them it's a portfolio of prints. 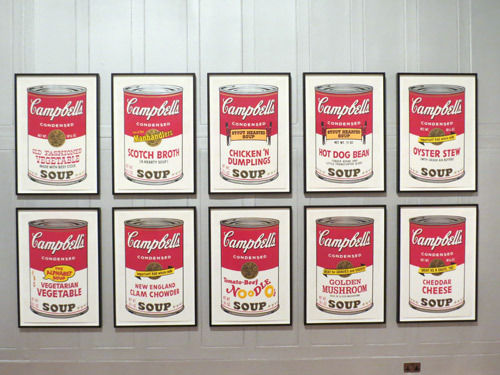 The Campbell's Soup can is the iconic picture associated with Warhol. They make rather more sense when you know that his Slovakian immigrant family were poor and he ate Campbell's Soup every lunchtime when he was a child. Some of the series demonstrate the different 'not quite fitting' colourways he worked with. Posted by Making A Mark on Tuesday, July 24, 2012 0 comments Who's linking to this post? Labels for exhibits - about artists and/or paintings - in an exhibition are necessary. However some artists find them a bit of a challenge to produce and or treat them as an afterthought. This post tells you how I make labels for the wall of an art exhibition. It also invites other artists to share their best tips for making labels. the purpose or nature of the exhibition. I do appreciate a decent introduction! the artwork - typically medium and size. I hate having to puzzle out how an artist made a painting. I want to be surprised to find out it actually includes a media I hadn't spotted. I love reading stories behind an artwork. Find out what surface and space is available for labels. 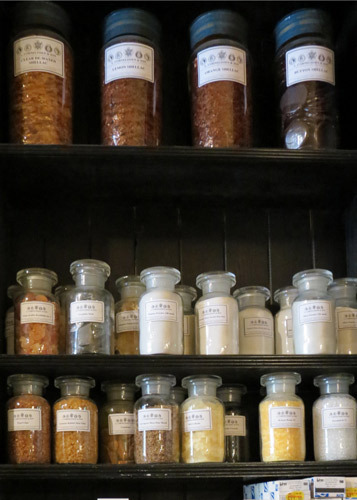 The hang of the exhibition typically determines the size and weight of the label. Create a template for the label. Make the size of the label efficient in terms of the number of cuts required to produce a label for an artist. I used Word to set up a sheet of A4 in landscape format with two columns sized A5 with margins which were equalised for each column. An A5 size label was used for each artist because we had a reasonable amount of space available for a label for each artist. Select and appropriate font. Keep it simple and professional. Decide on the minimum font size for ease of reading a label on a wall - this needs a few trial runs to see what works best. Remember people will be reading this from a distance - it needs to be bigger than the font size used for a book. The text for the body used in the above example was Arial 12. Cut backing for the labels. The backing gives a bit of weight - which makes them look more professional - and makes them easier to attach to the wall. I use offcuts of mountboard or foam core. It's helpful to use a template to get the size right. The same process works as well for much smaller labels which are for just the artist's name or details about an individual artwork. If you have a different way of making labels and would like to share, I guarantee there's a lot of people who love to know more! Please leave a comment below if you'd like to share your best tips for making labels for art exhibitions. Posted by Making A Mark on Monday, July 23, 2012 6 comments Who's linking to this post? Have you ever been irritated by the URL that Blogger has assigned to your Blogger blog post with the clever title? 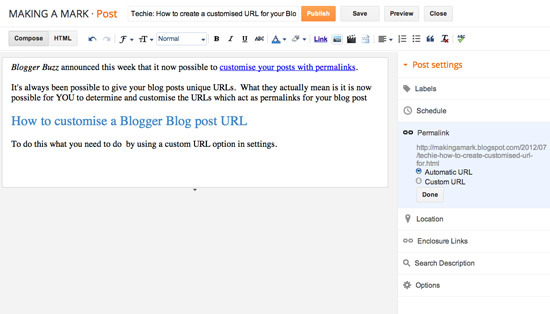 Blogger Buzz announced this week that it now possible to customise your posts with permalinks. It's always been possible to give your blog posts unique URLs. What they actually mean is it is now possible for YOU to determine and customise the URLs which act as permalinks for your blog post. 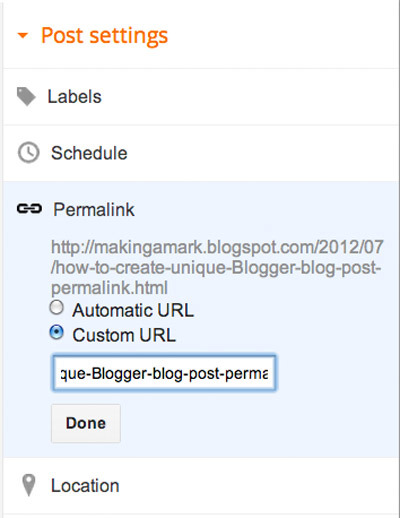 A permalink is the "permanent link" - the unique address for the blog post (or website page). It means that it can be identified amongst the trillions of addresses on the Internet. If you click the title of your Blogger post, the resulting page will show the permalink for the post in the address line of your browser. I'd say a permalink is one of the most vital ways in which you can help your blog get traction and traffic on the Internet. It is also very relevant if you are thinking about what keywords are relevant to your blog post. 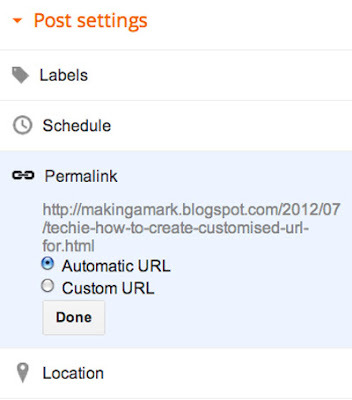 To do this what you need to do is use the custom URL option in post settings. You can find this in the right hand menu - see the box highlighted in blue below - just click on "Permalink" and it will open up. Note that Blogger assigns an automatic URL - so if you forget you don't need to do anything, it will still have a unique URL but one determined by Blogger and not by you. However you can create a very specific URL - or permalink - for your Blogger blog post by opting for the custom URL (see below). Just click "Done" to save your new dedicated and unique permalink for your post. The benefit is that the words used in your permalink will now be captured better by the search engine bots. One warning - make sure that your permalink accurately reflects the content of your blog post or Google will penalise you. Be naughty too often and Google will consign your blog to Google Clink! Are you an artist who wants to have a blog? Or maybe an artist who wants to work on improving your blog? 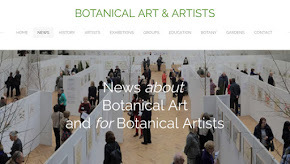 You'll find links on this site to sources of advice and information relevant to blogging for artists and blogging by artists. Posted by Making A Mark on Saturday, July 21, 2012 6 comments Who's linking to this post? 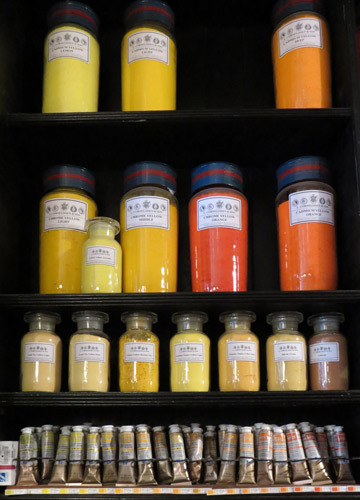 Below are images of the pigments on display in their shop at 105 Great Russell Street, London WC1B 3RY which I visited today. Aren't they wonderful? 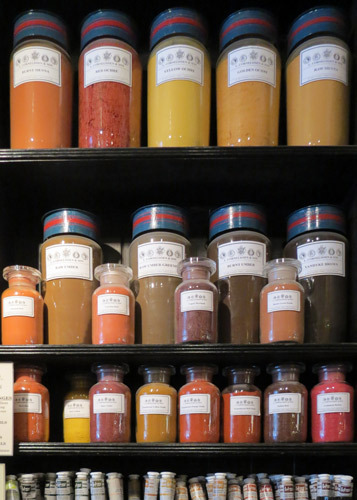 Cornelissen also stock Early Colour Pigments. 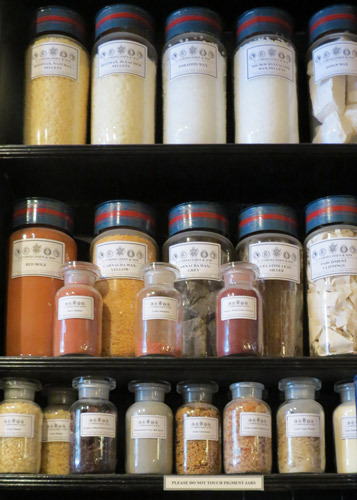 This is more about Cornelissens and how to visit and order from them. Records suggest that colourmen have been in evidence in London since at least 1725. Below are some links to websites which describe and record Artists' Colourmen. The most important is the database maintained by the National Portrait Gallery in London which maintains a biographical directory of British and foreign firms of artists’ suppliers and colourmen operating in Britain and British firms operating overseas. National Portrait Gallery - British Artists Suppliers 1650-1950 Colourmen are listed - in some considerable detail - in an A-Z database. 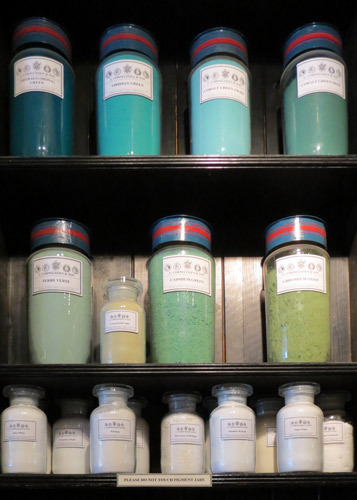 The 'C' page includes a very detailed listing for L. Cornelissen & Son. The database is maintained by Jacob Simon who is the former Chief Curator and current Voluntary Research Fellow at the National Portrait Gallery. 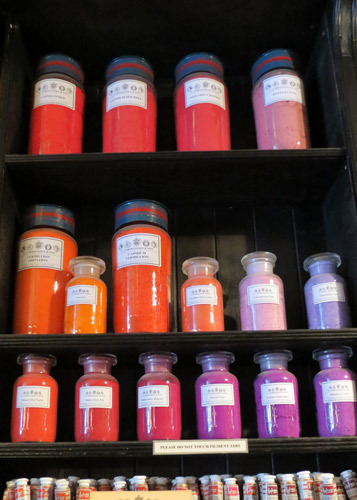 Colour - Resources for Artists - What is colour? 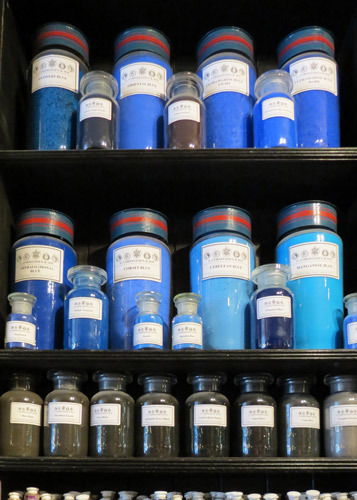 Do you know or do you want to learn more about colour and its use as an artist? 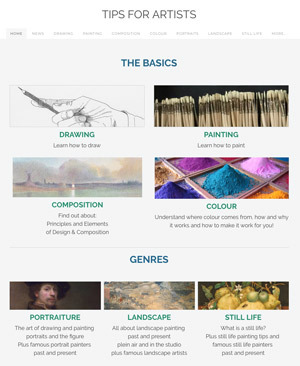 This site provides links to information and advice about colour and how to understand and analyse it - and then use it as an artist. 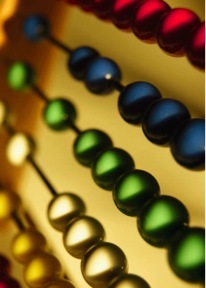 Posted by Making A Mark on Thursday, July 19, 2012 5 comments Who's linking to this post? Here are the headlines - with links to each tab - and it's very much a RECOMMENDED READ. My brief comments and additions to the content of the article are in italics. "Kindle Fire? You might be happier with an iPad." Well I think most people get that Amazon is going to market its own product! However this is an interesting review of the Kindle vs the iPad. "You'll spend a bundle on e-books." From what I can see the main expense of some e-books for artists derives from publishers setting prices which have no justification in terms of cost incurred! They're also bucking the trend seen elsewhere in the e-book market - and some artists have noticed this! "Free shipping helps you overspend" Tell me about it! "Our list prices are sometimes misleading." Bottom line - they get their percentage discounts wrong on occasion. "We're slow to improve our working conditions." Not good! "We know more about you than you think." Prepare to be shocked! "We don’t always have the best deals." !!! This is the print version for your personal consumption. 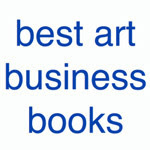 This site is developing a list of good art bookshops. Starting with bookshops in London, the intention is to identify other good bookshops in the UK and other countries. I have a deal with myself. I'm allowed to buy art books online so long as I also remember to support those art book shops which are accessible to me. I'm working on the principle that if we don't buy from the high street store then they will simply cease to exist. In practice what happens is I always buy the really expensive ones or very big ones online - but that's as much to do with not having to lug them home on the tube! What also happens - if you frequent good art book shops is I spot books I never seem to come across online. 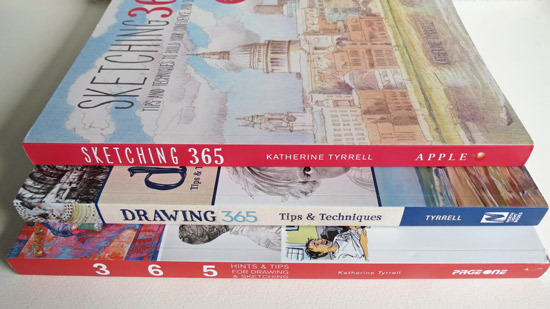 This week I developed a new art book site Making A Mark Book List - it's the list of books I've bought this year (or at least it will be once I've finished it - I've still got lots to add in!). I thought it might be a neat way of sharing what I've found. 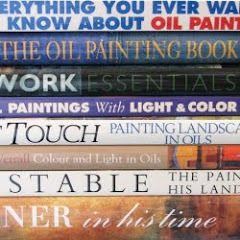 It's also a good way of highlighting books which you might not come across online. This is a list of the art books I've bought and/or read this year. My aim is to share what I thought was worthwhile buying and why. 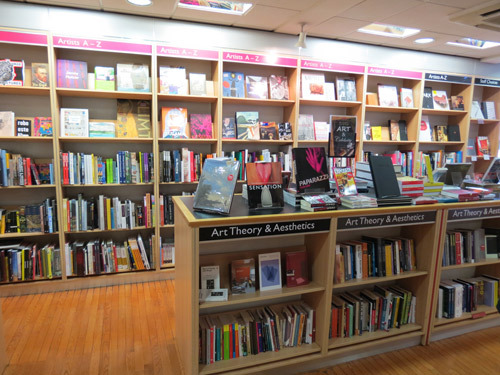 A small part of the area devoted to Art Books in Foyles in Cahring Cross Road. From which you can correctly deduce I've just discovered James Elkins who is the E.C. Chadbourne Chair in the Department of Art History, Theory, and Criticism at the School of the Art Institute of Chicago. He writes a neat dense slim volume! Posted by Making A Mark on Wednesday, July 18, 2012 7 comments Who's linking to this post? One of the interesting aspects of art museums and galleries which doesn't often get a high profile is the work they do in relation to education generally - and the education of younger people in particular. There's a display about the Next Generation Project in the NPG - in the Room 36 Lobby (as you make your way towards the BP Portrait Award 2012 exhibition). This tells the story of Next Generation through a short film and a selection of painted works from past Summer Schools. I suggest you bookmark this post and send them a link to it. Try your hand at portrait drawing and meet practising artists in one of five short Taster Sessions, kicking off on the first weekend of BP Portrait Award 2012. Bookings essential on a first-come, first-served basis. Please book for only one session. All materials provided. Please supply your full name and contact details, mobile number, age and preferred session date. 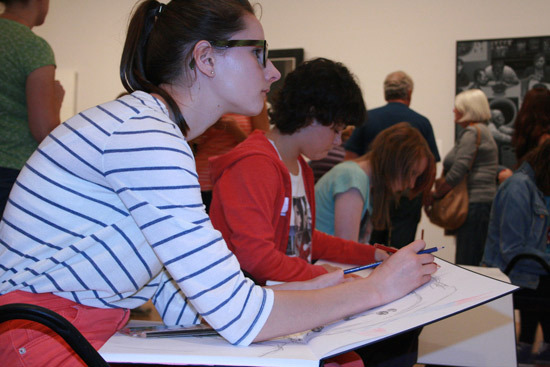 On Sunday, 24 young people will work in three groups within the Galleries hosting the BP Portrait Award exhibition. It provides them with an opportunity to meet other young people interested in art, to try new techniques for drawing and to meet with some of the artists who have won the BP Portrait Award. You can see some of the ativities which occur in photos in the National Portrait Gallery BP Next Generation's photostream. This is a link to the slideshow view of those photos. After a more intensive experience? Apply for a place at one of our three-day Summer Schools in August to work with past BP Portrait Award-winning artists and experiment with painting, life drawing and other portraiture techniques. Applications are encouraged from these boroughs: Hackney, Tower Hamlets, Waltham Forest, Newham and Greenwich. Entry is by application. This is a link to the application form (Word doc). Note the Artist Statement of the application is particularly important. There is still time to apply for the Summer Schools. I'm very impressed with the quality of the painting I've seen posted to the Next Generation Flickr Group. Tomorrow (Wednesday 18th July) a one day event is being held for secondary school art students and their teachers called Meet the Artist. You can read about previous Meet the Artist events and the processes and approaches for portraiture used by different artists. The artists involved are photographers or painters and have typically been involved with the two major competitions run by the NPG. 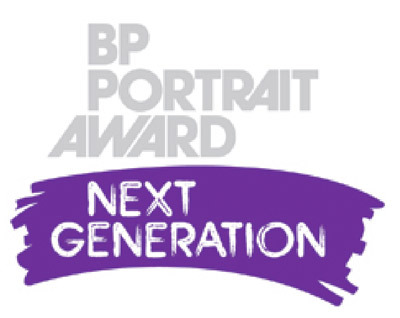 Secondary art students and teachers can meet three past BP Portrait Award-winning artists through the BP Portrait Award: Next Generation project. This full-day session includes presentations by artists, an artist-led portrait drawing activity followed by Q&A. A viewing of BP Portrait Award 2012 and a feedback session with artists on hand to support and encourage students’ sketchbook work concludes an exciting day. The Youth Forum meets on the first Thursday evening of the month and is an opportunity for young people to have a voice at the National Portrait Gallery. The National Portrait Gallery’s Youth Forum has developed their first podcast, ‘Tune In’, responding to key works and key themes in this year’s BP Portrait Award 2012.
it's FREE and downloadable from the NPG website and from iTunes. 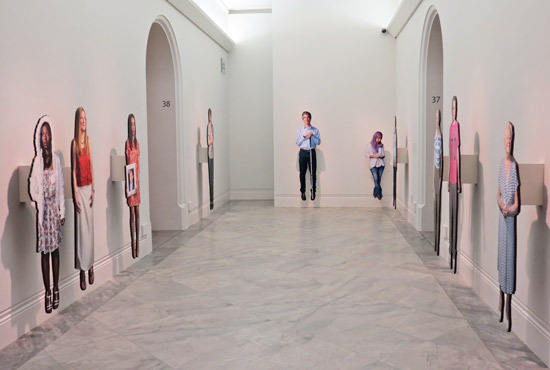 It can also be listened to within the Digital Space at the National Portrait Gallery. Posted by Making A Mark on Tuesday, July 17, 2012 0 comments Who's linking to this post? 15th July 2012: Who's made a mark this week? 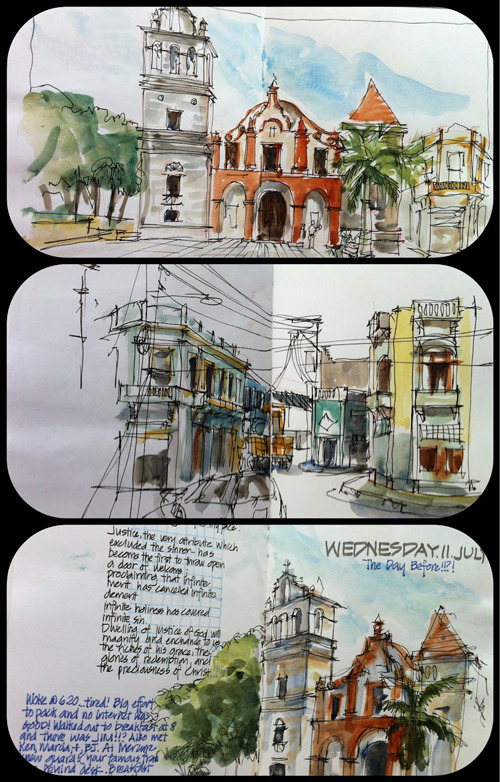 You might also want to keep an eye on the blogs of some of the instructors at the symposium namely: Frank Ching Seeing.Thinking.Drawing - this is his post USK Santo Domingo with pictures of the people who attended workshops he ran with Liz Steel (Liz and Borromini) plus the "end of term" photo! Liz has also posted a huge number of photos on her Flickr account and this is her July archive on Liz and Borromini to date which is packed with posts about the trip - including the two days she was there before the rest of the sketchers started to arrive. Posted by Making A Mark on Monday, July 16, 2012 0 comments Who's linking to this post? Categories art, art blogs, art on television, exhibition, sketching, urban sketchers, Urban Sketchers London, who's made a mark this week? Urban Sketches - printed, matted, framed, and hung! Who's made a mark this week is going to be published tomorrow. 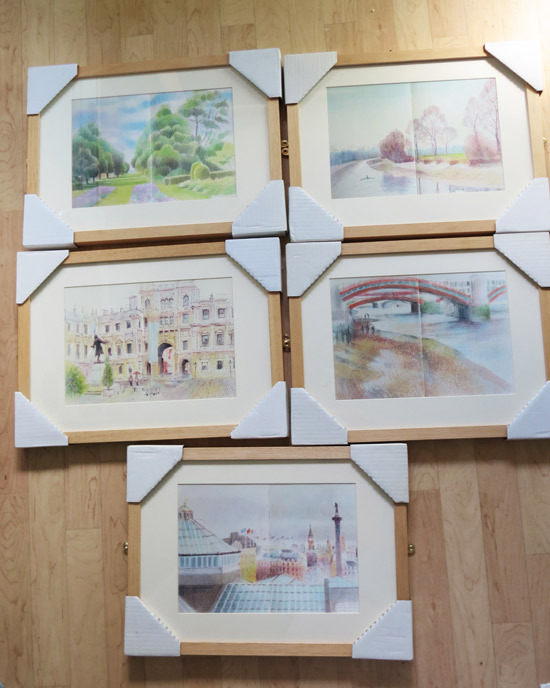 I've been a bit busy yesterday and today converting sketches in sketchbooks into prints, matted and framed and then transported from my kitchen floor - see below - to the wall of The Art of Urban Sketching Exhibition which opens at Foyles tomorrow. This exhibition is being held this next week - 16-22 July 2012 - in The Gallery at Foyles, Third Floor, 113-119 Charing Cross Road. Foyles is an independent bookseller who won the prestigious National Bookseller of the Year 2012. The Charing Cross store is its original and flagship store. the Foyles Sketching the City Season events programme. The Art of Urban Sketching - at Foyles in London on Travels with a Sketchbook for more details. 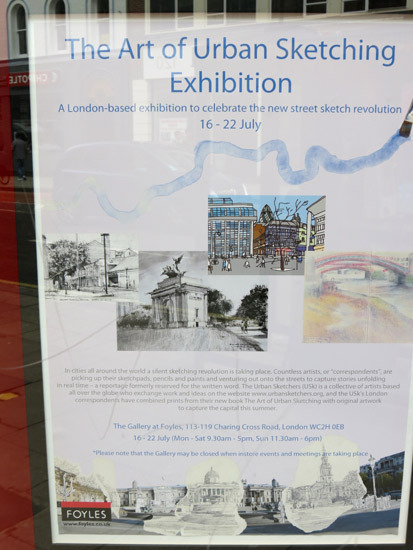 There will be a post on Urban Sketchers London with photos of exhibition - including each set of sketches and the correspondent who produced them. Then converted the image file into a tiff file (lossless compression) - to improve the quality of the printing. They were given a glass clean inside and out before my better half applied the brass mirror plates for screwing the works to the wall of the gallery. I'd be interested to know if anybody else has ever tried converting sketchbooks to prints - I'm still umming and erring about the authenticity of the centre fold in my double page spread sketches! PS Anybody notice the consistent theme to my sketches? Posted by Making A Mark on Sunday, July 15, 2012 11 comments Who's linking to this post? This week I've been asking myself just what is this thing called "Decorative Art" in the context of those who appear to define it by saying that it's something which isn't "Real Art". I must confess I'm becoming a bit of a Show Me the Monet addict (see 'Show Me the Monet' - X factor for Artists?) - mostly because of the critiques by the panel which are incisive and in some cases highly opinionated. It's very educational to see how people who judge art judge the pieces presented to them by artists from a variety of backgrounds. For the most part I've been pretty much in agreement with their choices. However one thing keeps niggling - and these are some of the comments which I keep hear being repeated. "There's not enough "art" in this piece for me"
"This is decorative art and doesn't reach the standard I'm looking for"
They say them - but they don't explain them. It struck me that the notion of what art is - and what decorative art is obviously vary depending on your perspective. It made me wonder whether the term 'decorative art' was being used by the judges to refer to 'bad art' - or art of a 'lower standard' having 'mass appeal'. Was it being used as a euphemism - a polite way of saying "This is bad art"? Was it being used to refer to art which tried too hard to look attractive? Was it being used to reference art with no emotional inner meaning? Was it being used in such a way as to negate the very positive aspects of what I understood to be decorative art? It then struck me that the way The Hanging Committee were thinking might rule out anything by people like Grayson Perry (ceramicist and textile artist) - who is an artist who comments on the social condition and is one of the more innovative artists around today. Then I began to wonder whether this explained why so many people hadn't taken him seriously as an artist - until he became a Royal Academician. Then I began to wonder about other artists who were not seen as "proper artists" because they failed to conform to the conventional idea of what is "real art". What is the difference between art (as in 'real art') and 'decorative art'? How does an artist know when they're making 'real art' and not 'decorative art'? Should 'decorative art' be spoken of in a disparaging way? Do please feel free to COMMENT BELOW and add in your opinion of what is art and how you define decorative art - and what makes decorative art "OK"? Posted by Making A Mark on Friday, July 13, 2012 26 comments Who's linking to this post? 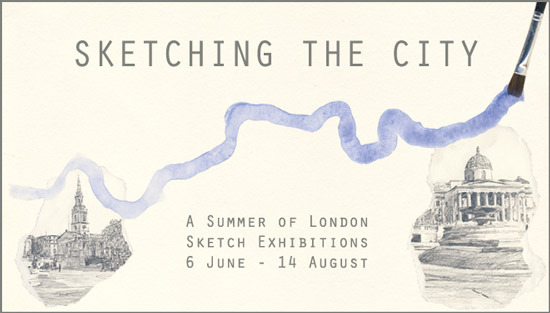 The legendary bookshop Foyles is having a summer season of exhibitions devoted to Sketching the City of London. London is, of course, expecting a few more visitors this summer! 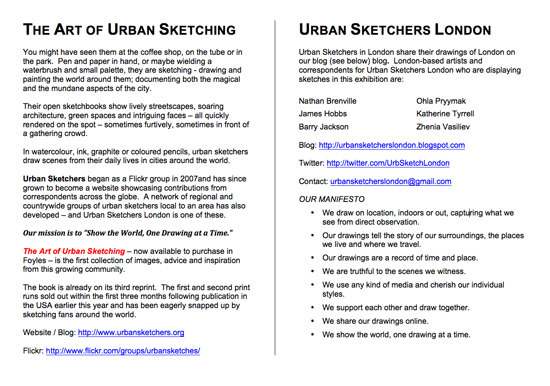 This post is about a chance for anybody who has sketched in London to have their work included in an exhibition about Sketching London! Next week, Foyles Gallery on the 3rd floor of their flagship bookshop at 113-119 Charing Cross Road will be devoted to an exhibition about The Art of Urban Sketching. 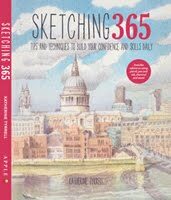 The exhibition includes extracts from the book by Gabi Campanario and members of Urban Sketchers all over the world - plus sketches by correspondents for Urban Sketchers London - see The Art of Urban Sketching - at Foyles in London on my sketchbook blog. However if YOU too would like to have one or more of your sketches included in the subsequent exhibition - this is what you have to do. 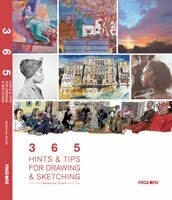 Foyles' next exhibition is one which is being specially created in response to the London Sketchbook challenge. The work it will include will be created by those who currently sketch in London. This exhibition aims to create a vision of London by those who know it best - you. As London builds up to the Games this summer all eyes will be focussed on the city, with an influx of new visitors discovering its well-trodden streets and a transformation that may or may not feel like the London you know and love. We want to capture the real London - that melting pot of different cultures, traditions, residents and visitors who make it what it is - by transforming the Gallery into a vast, walk-in sketchbook. This is where you come in - we're asking you to submit as many of your own personal sketches of the capital as possible - not just skylines and monuments, but the hidden corners, the secret hideaways that make London yours. They can be drawings, paintings, collages or even poetry, we just ask that entrants comply with the requirements below. * We will then collage the walls with as much of your work as possible, and will select and frame some of our favourite examples to showcase in the space. There is no guarantee that you will get your work back - and it's possible it may be damaged. 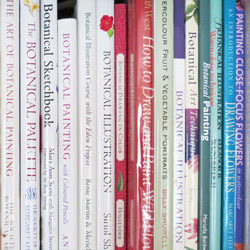 Exhibitors should be able collect their work from the Gallery on Monday 13 August between 10.30am and 5pm, but Foyles do not guarantee that work will be returned after the show. Posted by Making A Mark on Wednesday, July 11, 2012 0 comments Who's linking to this post? 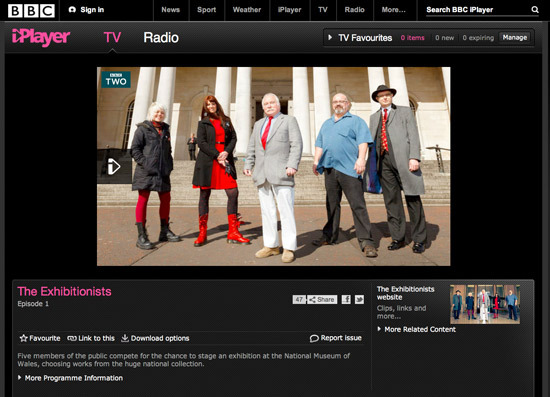 The programme is the result of a collaboration between BBC Wales and The National Museum of Art in Wales, in Cardiff. Posted by Making A Mark on Tuesday, July 10, 2012 2 comments Who's linking to this post? Show Me the Monet - X factor for Artists? After a brief discourse on its relative merits I was moved to watch the first episode in the second series this afternoon so I could comment on it. 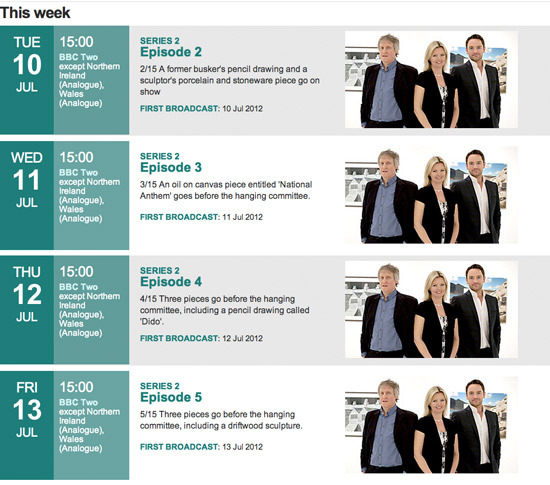 There's a further four episodes this week and a further ten in the next two weeks. For me it's the art version of the X factor with Chris Hollins, who normally fronts sports programmes and wins dancing competitions, taking the place of Ant and Dec. In short it's a talent show with a bit of artistic feedback thrown in. I was trying to work out how to write about this show as I wrote my notes while watching it. It's retrieved to some degree by some positive aspects - hence I've opted for a pros and cons approach. Posted by Making A Mark on Monday, July 09, 2012 18 comments Who's linking to this post? 8th July 2012: Who's made a mark this week? 1 July 2012 - Who's made a mark this week?